You know that thing where everyday Mick and Moira down the sráid complain about restaurant critics on their high horses sticking within the confines of central Dublin city? Well this week, there’s not one, two, but THREE reviews, all within the Dublin 2 precinct. Ara, it’s too hot to travel, sure. But that’s not all, of course, there is some variety… As well as that, there’s highly ethical grilled pork realness in Ranelagh and the place ’round the road from our flat in Peckham. 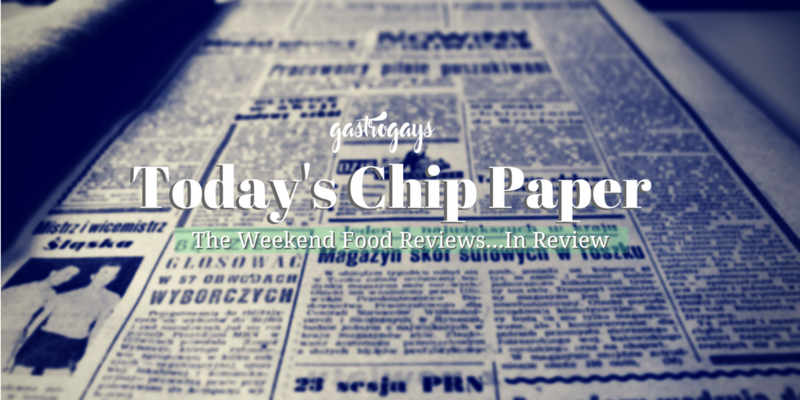 Here is the round-up of critics’ restaurant reviews from select papers in Ireland and the UK – this is Today’s Chip Paper. 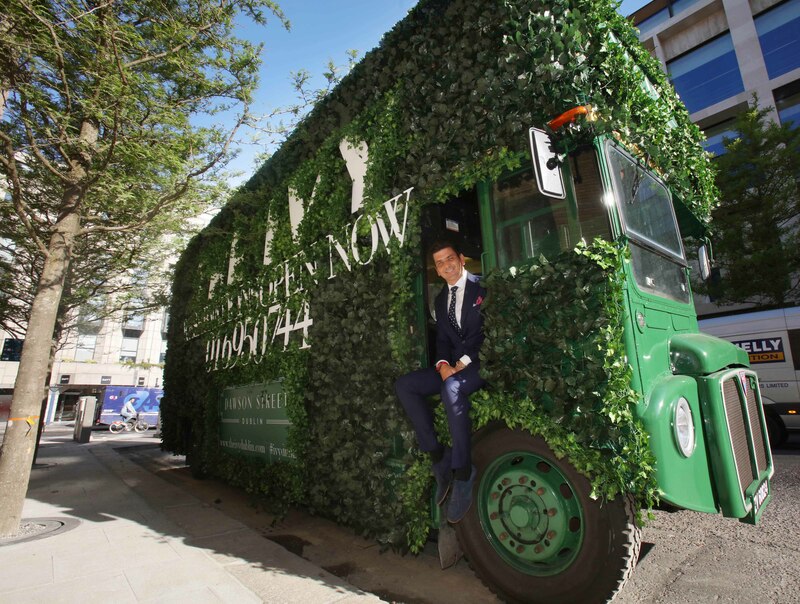 In terms audience, it was always natural for Sunday Business Post magazine to cover the opening of The Ivy first – and Gillian Nelis is indeed the first national critic to surmise her experience at the hotly-anticipated London import on Dublin’s Dawson Street. “Given that it is undoubtedly the most talked-about opening in the city in years, I reckoned it would be remiss of me not to get in there quick, so I booked as soon as online reservations opened,” Nelis explains. Describing the space as a “riot of colour” the writer continues: “Personally I loved every over-the-top bit of it, from the flowery ceilings, to the art covering every sqaure inch of the walls, to the ultra-snazzy loos”. 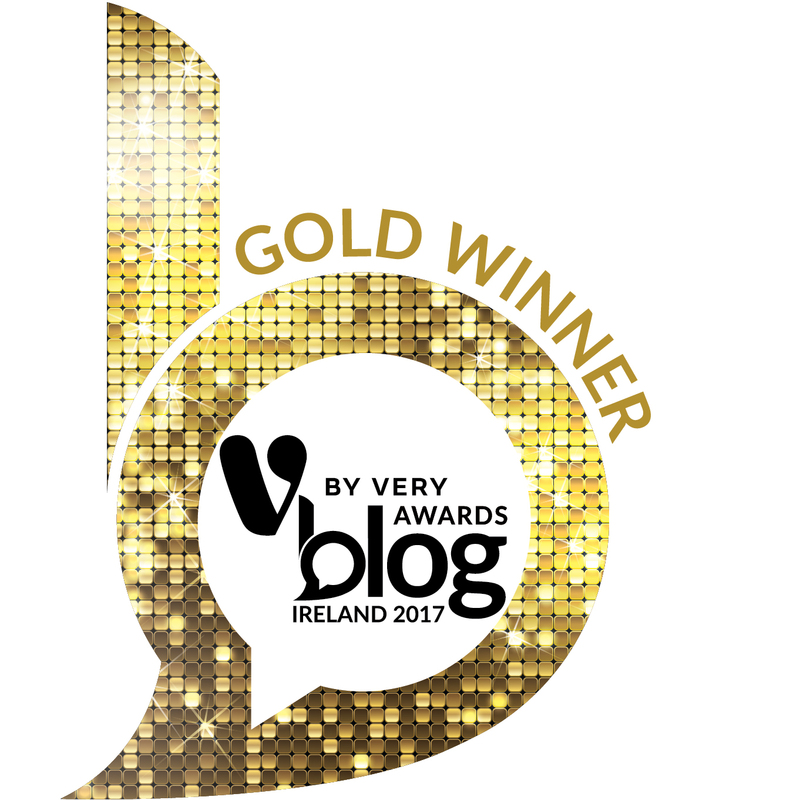 Has to be said, we weren’t one bit surprised that the Ivy Collection’s debut stamp on the Dublin scene would make up Nelis’ review this week. The Managing Editor of said paper posted a snarly quip on the Dublin dining scene [the tweet: ‘Seriously now: how many more new restaurants can Dublin take??!! It’s never ending….’] mere hours before a snapshot of the rum baba whilst checking out the spoils of said new opening. Everyone was watching to see which critic would launch in first, and Nelis had already given the signal to her convocation. The menu is “huge”, Nelis warns, “using the word ‘extensive’ to describe the menu here seems a little on the mean side… so if you’re even a little indecisive I’d recommend checking it out online before you arrive”. Nelis enjoyed the “lovely summer starter” of buffalo mozzarella with sliced peaches, Nocellara olives, smoked almonds, pesto and mint, “although the peaches could have been a little riper”. Nelis’ companion split a side of truffle arancini with the writer, as well as a (measly, in our eyes) six spears of asparagus with truffle mayo for €10.50! In lieu of ordering “the most famous dish on the menu” (the shepherd’s pie) due to the balmy summeriness of Dublin right now, mains ordered included the fish special of halibut on the bone with chimichurri and the 120z ribeye from John Stone Beef in Longford. Of the latter: “it was serves medium-rare, as requested. But – and this was our only real quibble of the night – it came with nothing but a garnish of watercress leaves, meaning we had to order chips and béarnaise on the side at €4.50 each… it does seem a little Scrooge-like to charge that much for the sauce,” she adds. Desserts include the aforementioned baba – “my all-time favourite… this was the largest baba I’d ever seen – it would easily serve two if you weren’t madly hungry – with the sponge filled with Chantilly cream and raspberries, and an extra shot of rum served on the side” – and the “solid iteration” of an apple tarte fine, flambéd at the table with Calvados. Save for a couple of drinks racking up just over €40, €130 was spent on the food, which isn’t quite alarming, but isn’t overly reassuring either for a mid-week supper of quite simple French brasserie staples like fish on the bone, steak frites, apple tart, salad-ish starters and small nibbles shared. We searched for a prix fixe or pre-theatre menu and found a passable, if totally uninspiring, ‘set lunch and early evening menu’ which is served 11:30am – 6:30pm every weekday and is €19.95 for two courses, €24.95 for three – where none of the ten dishes available are the ones Nelis mentioned from the à la Carte and though steak is available, it’s minute steak with added €3.50 supplement, but you’ll be glad to know that does include chips. “Open seven days a week from dawn until dusk, the brasserie is accessible to all,” the website declares and Nelis sidelines a quick conversation with the GM, the infuriatingly-handsome and incredibly dapperly-threaded Jamie Belton, into the penultimate para of the review to answer “the questions that everyone had been asking” like whether dropping in for a coffee or having a drink with nibbles at the bar is permissible. All answers noted, and a great use of a couple of column inches, which readers will thank Nelis for. 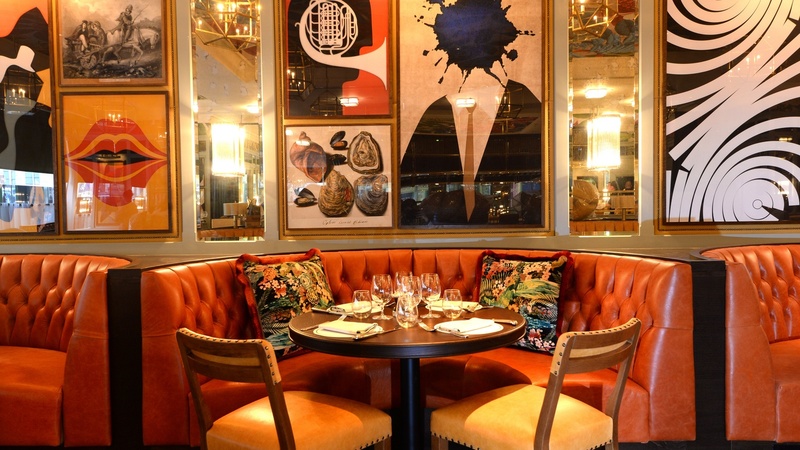 The writer remarks on the cut of the place’s jib in the closing lines – “if you prefer your food with a side order of introspection and a dollop of self-importance, you are going to hate The Ivy. If, on the other hand, you’re after some good grub, a bit of a giggle and some top people-watching, I suspect you’ll really like it”. Another week, another pizza review! Leslie Williams shows his hand to the entire table, in the opening para of his Irish Examiner review, of newly-opened pizza place Pi: “YES, I know, another pizza restaurant, I could probably review a new pizza restaurant every two weeks in this slot. 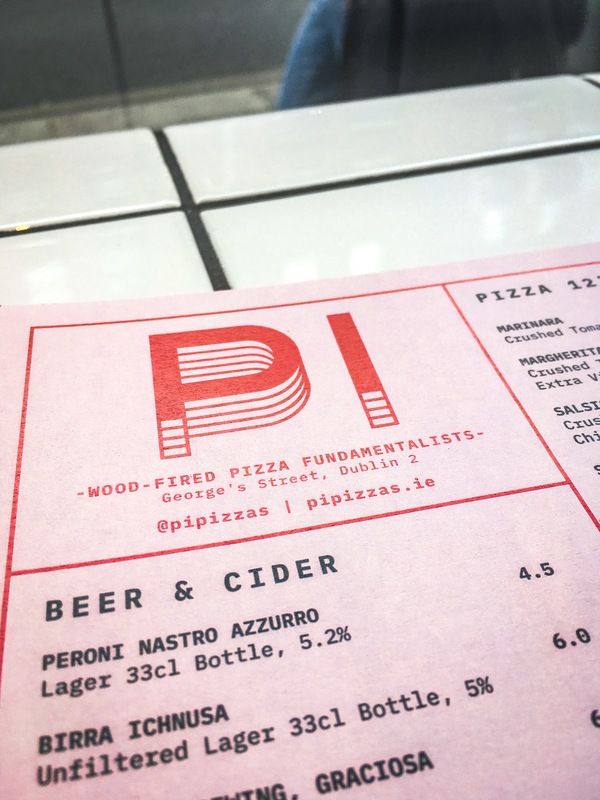 Pi opened in early July and I feel rather guilty reviewing them before they have even settled in but the reason is simple: Pi pizzas are as good as I’ve ever tasted.” Fair enough! We’ve seen both Williams and Gaz Smith of Michael’s influenced by the new food website AllTheFood on their commendation of Pi as the best in Dublin, as Williams quite rightly references his sources. 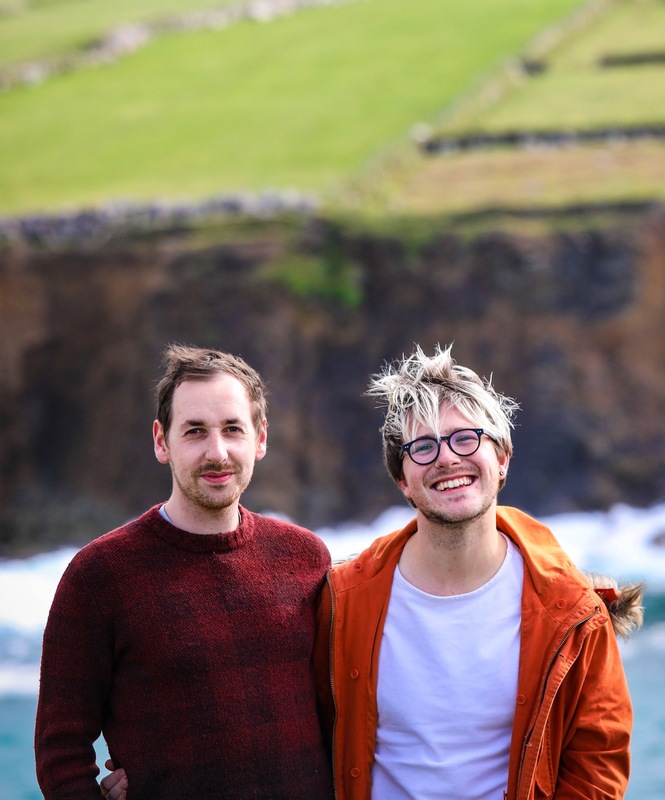 The guy behind Pi – who might wanna consider @gibehindpi as an Instagram username – is Reggie White, who has single-handedly captivated Dublin’s casual dining congregation in the short few weeks since opening up shop. 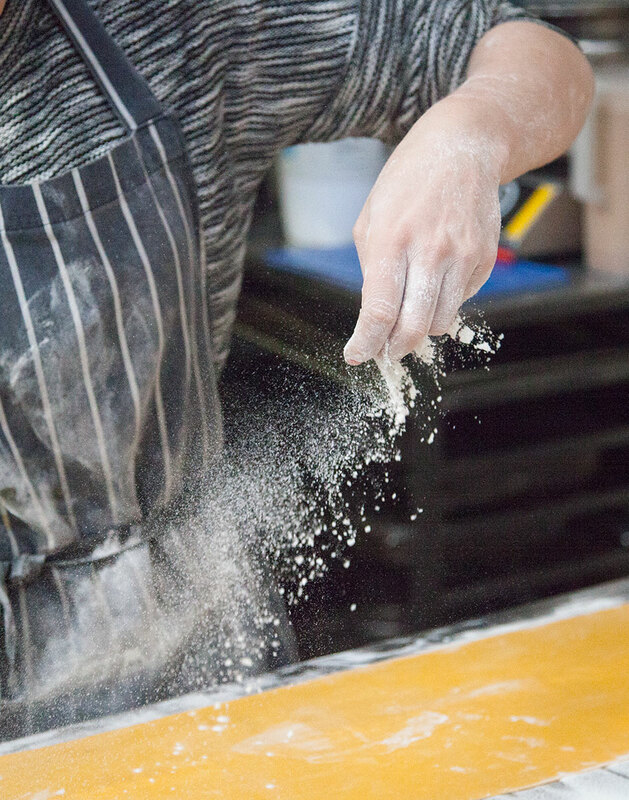 “It shouldn’t be difficult making great pizza, all you need is a wood-burning oven, flour and water, a kneading machine and some patience,” Williams declares. In lifting up Pi, Williams brings a fellow newly-opened, vaguely neighbouring Forno 500 down a notch, saying their Naples-approved pizza is “good… just not good enough, it lacks bounce”. We might suggest looking the other end of Georges Street for comparison. We tried Pi almost two weeks ago and have to say that for us, it’s definitely among the best in the city. Is it better than Dublin Pizza Company up on Aungier Street? No, not in terms of provenance and combinations of toppings which really excite us. Very similar bases, though. Is it better that it can be enjoyed in a well-styled space with a lively atmosphere on Georges Street rather than in a box on the street? Yes. We’ve done both and can’t decide between the two. Both nose out in front of the wider pack, for sure. So we’d prefer to chime the bells of celebration that both are happily churning out great pizza within earshot of one another in Dublin. In fact, we fell a little more in love with Red Bank Tavern recently simply for the fact that they have a hot little relationship going on with DBC in that you can order from their menu, have it dropped to the wine bar (just off Grafton Street, below Duke Street level) and enjoy it with a serious, slap-you-in-the-face bottle of wine. Heaven. Still surmising Pi’s square root, Williams orders a Margharita [sic] “as a touchstone” and follows with the exact same duo of pizzas we too enjoyed: “a Salsiccia with crushed Tomatoes, Piquillo peppers, Pickled Chillis, Gubbeen Chorizo and Toonsbridge Fior di Latte; plus a Zuccha with Grana Padano, Basil, Courgette, Garlic, house Ricotta, Salsa Verde and Black Pepper”. The verdict? “All three were glorious. They arrived within seven minutes of ordering (proof of the heat of the oven), the base was fluffy and bouncy and the toppings were appropriate and judiciously used… The Margharita was textbook, the Gubbeen Chorizo was softened by the milky richness of the Toonsbridge cheese and the heat of the chillis livened things up. The Zuccha made me re-evaluate everything I thought I knew about courgettes, their light subtly bitter flesh rounded out by the Salsa Verde and the ever so slightly funky Ricotta.” Williams picks apart the drinks offering, finding some niggling issues which are being worked on apparently, and gives a thumb and a half up to the pair of simple desserts. No one is coming in for the desserts, we wouldn’t wager. With the sizes of the pizzas (there’s no choice in size) we couldn’t stomach a dessert, but maybe others can. Pi is a joy, no doubt. Williams goes to the point of comparing the joy of Pi to seeing a woman twerk unexpectedly on a New Orleans street. We’re relieved that sentence marked the end of the review. “There’s nowhere quite like Luna,” Tom Doorley opens in his Irish Daily Mail restaurant review of John Farrell’s Luna on Drury Street. “… and despite the downside of being expensive, it’s a place that keeps drawing me back”. “It’s not just the food,” he carries on, “but the look and feel of the place, the fact that Declan Maxwell is one of the best front-of-house people in the business, the retro bar with back-lit Campari bottles casting a rosy glow, the general sense of having travelled back to somewhere off Madison Avenue in the days of Mad Men”. Upon the announcement of Vish Sumputh’s appointment as Hugh Higgins’ replacement to run the basement kitchen, Doorley gave a settling in period before descending down the stairs. Sumputh (formerly of Michelin-starred Chapter One) “retained many of the old favourites”. Doorley admits he was terrified the spaghetti with truffle – “a dish, for which, I would walk several miles, possibly even barefoot” – would get its marching orders, but it remains, though with an update; a “rather wonderful” upping of the truffle (both grated and sliced) and lessening of the spaghetti. Doorley kicks off with the beef carpaccio – “melt in the mouth… [delivering] that raw, minerally, sanguine tang… a classic with sensible, thoughtful embellishments”. Next, a “dazzlingly green” watercress risotto with “plump, salty Irish snails, baby broad beans and little salty explosions of caper” which he remarks for its brilliance in both flavour and texture, “by far the most liquid risotto I’ve ever had in Dublin and quite possibly the best”. A ragu dish was slapped on its wrist for its salinity, “too much for us, approaching levels found in the Dead Sea”. 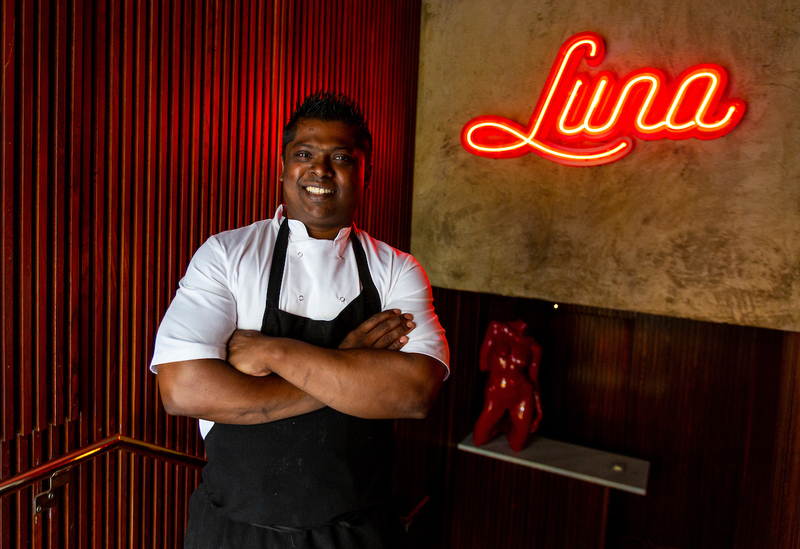 Of Luna, generally, Doorley writes “it’s a restaurant with lots of regulars, attracted, no doubt, by Luna’s hint of louchness” followed by mentions of bone dry martinis and Chesterfields. His meal cost €160 with a good bottle of red wine and cocktails to start, but Doorley rightly puts to the people that the €30 pre-theatre is “a steal”, and we’d agree. We’ve never left hungry or dissatisfied. Ever. “Sometimes change is good,” Doorley deduces. 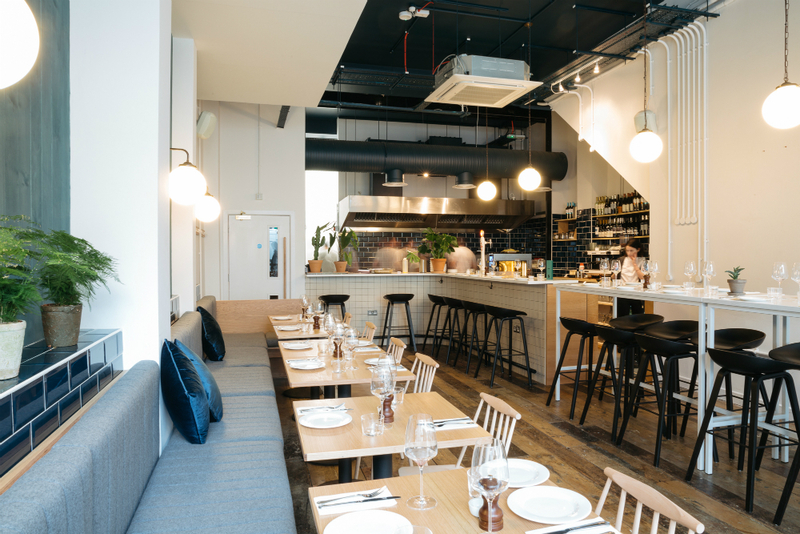 Over in London, and literally around the corner from where we lived up until 12 months ago, Forza Win in Peckham’s Copeland Park is the subject of Jay Rayner’s Observer restaurant review. “We drink glasses of a long, sour lemon punch and grin at the single sheet of paper in our hands,” Rayner writes of this “really unusual place… where the cookery is smart and the ingredients are off-the-scale excellent”. Beginning the column, Rayner points out that landlords, licences and limiting restrictions on hospitality have forced upstarts to close whilst identikit chains swoop in as if they’re the saviour of the casual dining scene – very much the opposite. So he applauds, then, the “enlightened licensing officers” who have enabled this spot to “flourish in their knackered warehouse on a south London industrial estate”. “Here, in Peckham, the walls are not so much distressed as ready for an intense course of cognitive behavioural therapy or perhaps just a hug. If you love ducting, corrugation and slab concrete, this is the place for you. You are unlikely to walk in off the street. You’ll only come here because you were intending to. You really should.” Rayner points out that until recently it was a bit of a “ramshackle affair” with communal tables and pre-booked tickets, and that the one time he attended the server almost stabbed him with a carving knife half-way through his dinner – unintentional, the writer assures with noticeable trepidation. Now, he points out, “they have fitted an open kitchen, some shiny tables rather than the creaky splintered ones they used to have and instituted a classic Italian menu”. Giving the menu a once over, Rayner reports: “There are half a dozen antipasti, three pasta dishes and four mains. What’s most striking is the sheer quality of the ingredients: the taut-skinned and buxom, sweet beef tomatoes in a panzanella salad, the original home for leftovers. They leak sweet juices over your lips and into the golden-brown croutons of fried bread and across huge, breathy basil leaves that are so fragrant they’re practically narcotic”. Then: “there’s the utter abandonment and filth of a fried cheese sandwich, made with thick-cut soft white bread and a mellow cheese that falls in strings down your chin”. We imagine it’s fontina or something like it and whatever the F it is, we WANT it. 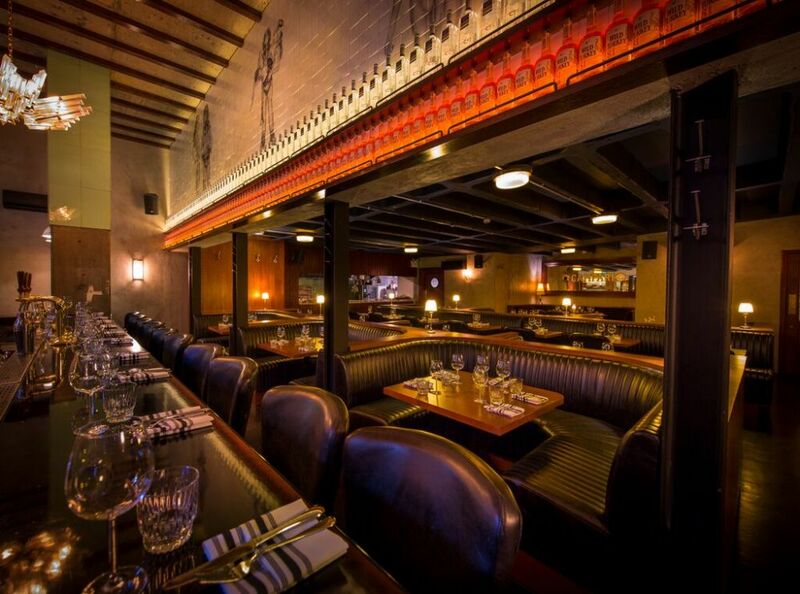 We remember the ‘Awesome Sauce’ £10 pasta + booze Wednesday nights at Forza Win when we lived nearby for three years. 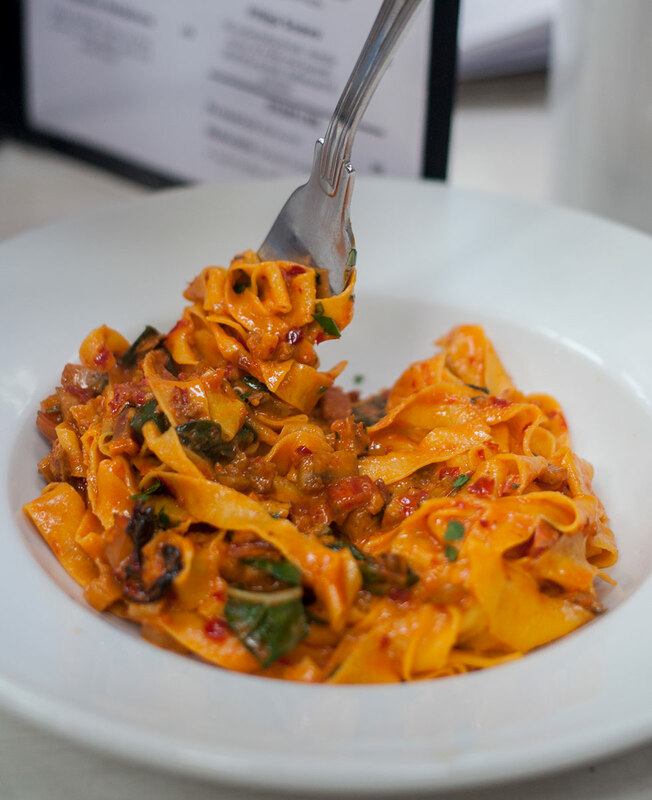 No-bookings, get in, get out, £10 a head, incredible, heaving plates of fresh pasta, two choices (a meat, a veggie) and a fairly alright glass of wine. 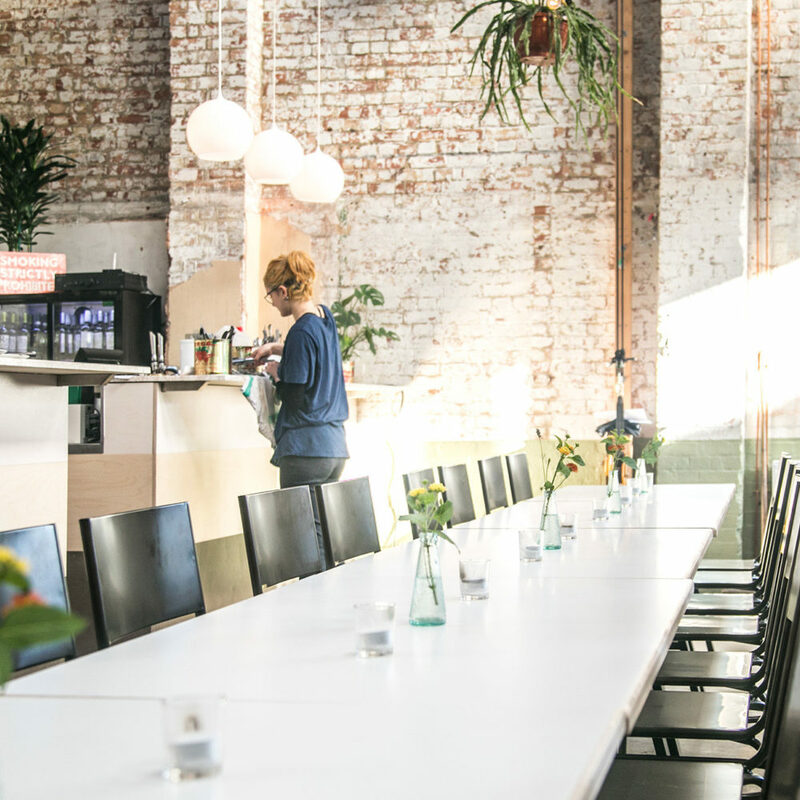 Order, pay, squeeze into a communal bench. Apply to face. Done, done and done. Being so close to our flat, it was often hard to argue cooking or going anywhere else on a Wednesday night. We miss it so much, and we think they may still do it in this reimagining of FW? Rayner continues, “Robust tubes of rigatoni are listed as coming with lamb and celery. The two ingredients have clearly spent a long time in each other’s company, until they know not where one ends and the other begins. It is a butch ragu that demands to be chased around the bowl with every last piece of parmesan-draped pasta.” Star dish is the whole spatchcocked chicken, £35, which is half-boned and grilled, “the skin is crisp and slightly sticky, the meat soft” and anointed with a “generous squirt of lemon juice”. “It’s an exceptionally brave venture indeed. We need much more of this,” Rayner concludes, “if we are to vanquish the bland”. Elsewhere, Joanne Cronin of Stitch and Bear blog reviews Host in Ranelagh but kicks off firstly with a porcine diatribe, a celebration of the cloven-hooved and an impassioned plea to respect and consider how smart Percy really is. Which we echo, diners and consumers in general are not as discerning about their pork as they are with chicken or lamb, or any meat actually. We need to curtail our meat consumption in favour of far better practices. Cut price meat not only lacks serious quality but is explicitly cruel. Explaining that this relative newcomer to the Ranelagh restaurant scene has developed a “solid reputation for the quality of their grilled meats”, Cronin falls for the “most incredible free-range velvet pork chop sourced from Andarl Farm in Galway”, explaining “these pigs live a happy outdoor life just a few miles from the Wild Atlantic Way and therefore it’s fitting that their resulting pork is cooked with respect and care”. The on-the-bone pork chop (€20) is “perfectly grilled, deftly charred on the outside with a touch of pink in the middle and served with a honey-based sauce. 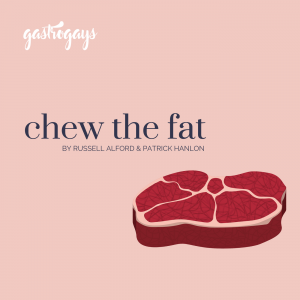 Each mouthful is a glorious combination of juicy tender meat and melting fat and I wish it would never end”. Of the wine list, it’s “nicely assembled” with “good influences from the Mediterranean, very much in keeping with the food vibes”. Today’s Chip Paper returns in two weeks, after the August Bank Holiday Weekend. We’ll be pissed in a field in Waterford next Sunday.